Includes 20 courses for $599/year. 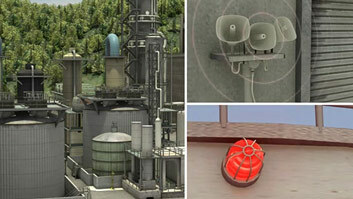 Run-on can land on a site as precipitation in the form of rain, snow, ice, or condensation. 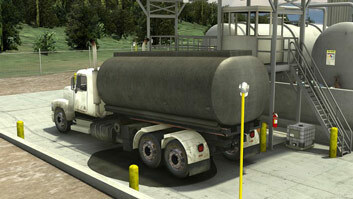 Run-on often becomes runoff, which can carry spilled oil offsite and deposit it in nearby waterways. 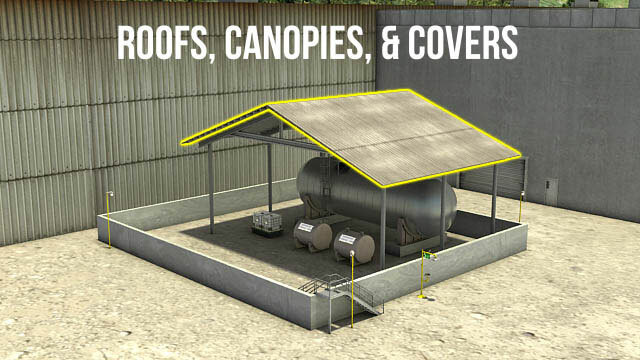 Roofs, canopies, and covers provide protection against run-on that is falling as rain, snow, or ice. The purpose of the EPA's SPCC rule is to prevent oil contamination of navigable waters and adjoining shorelines. Facilities which store or handle large quantities of oil are required to create an SPCC plan whose purpose is to prevent, control, and deal with oil discharges. One way these facilities can unintentionally discharge oil to waterways is with runoff. 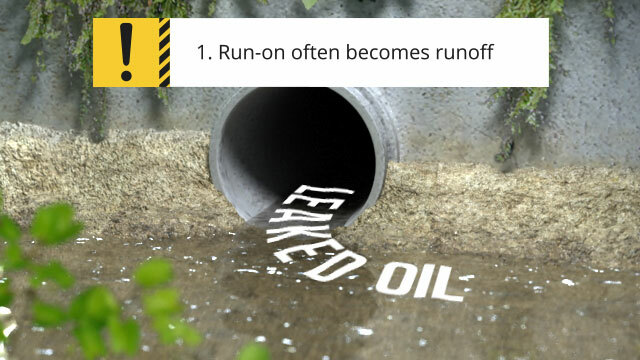 To prevent this, they can prevent run-on from reaching equipment with the potential for oil discharges, and also prevent oil-containing runoff from leaving the facility. This course describes the containment measures that can be used to accomplish these goals. Define the terms "run-on," "runoff," and "freeboard"
What types of facilities are subject to the SPCC rule? SPCC-regulated facilities are involved in oil-related activities, have an aggregate oil storage capacity exceeding 1,320 gallons aboveground or 42,000 gallons underground, and have the "reasonable expectation of an oil discharge" to navigable waters and adjoining shorelines. 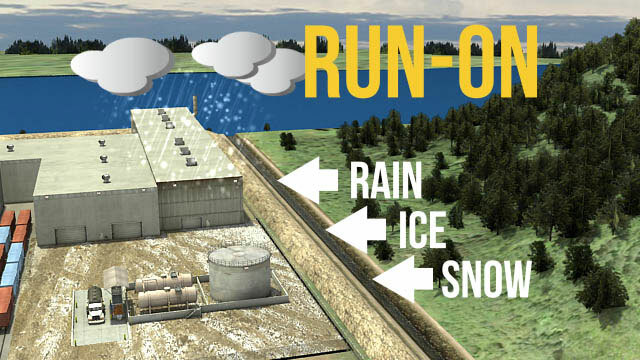 "Run-on" is water from precipitation that is introduced to a site either directly as rain, snow, ice, or condensation, or as surface water that flows onto the site. Why is run-on undesirable at an SPCC-regulated facility? 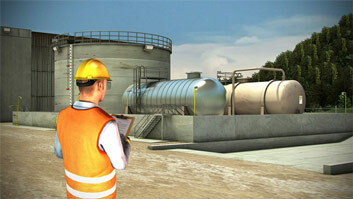 Run-on can become runoff, and carry spilled or leaked oil offsite. 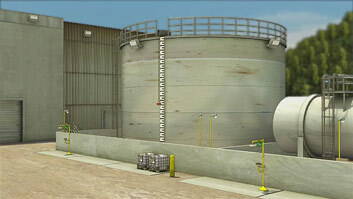 It also takes up secondary containment capacity, which reduces the containment's ability to contain oil spills and leaks. 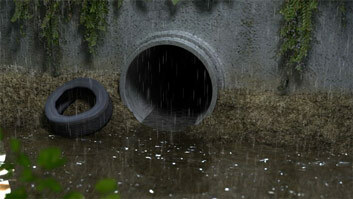 "Runoff" is water from precipitation that moves over or through the ground and flows away from a site. Runoff either seeps in and adds to the groundwater, or ends up in a nearby body of water. 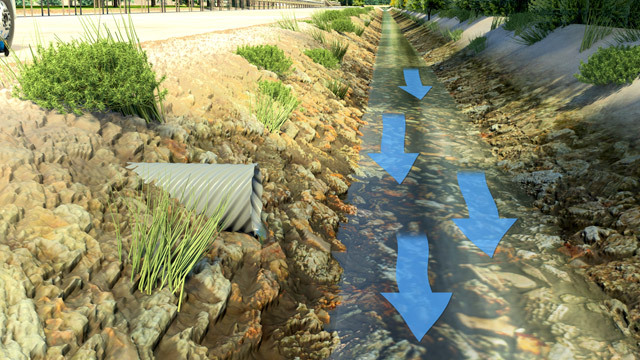 How can you minimize the impacts of run-on and runoff? Buildings, enclosures, containment, roofs, covers, slopes, grades, dikes, ditches, ponds, drains, sumps, and barriers can all help prevent run-on and minimize the impacts of run-on and runoff. Runoff can be defined as water from precipitation that moves over or through the ground and flows away from a site or facility. Runoff either seeps into the ground to add to the groundwater or ends up in a nearby stream, creek, river, lake, wetland, or other body of water. The problem with runoff is that as it moves, it often picks up and carries away pollutants, both naturally occurring and human-made. The concern at SPCC-regulated facilities is that it can carry away oil that is spilled or leaked. The oil-containing runoff then has the potential to end up in navigable waters or adjoining shorelines.